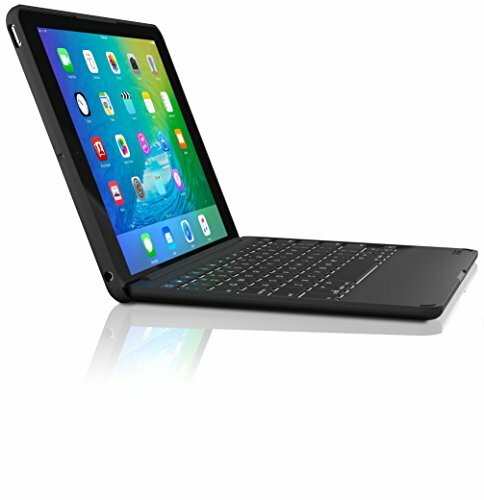 The folio's protective cover keeps the iPad safe from Scratches, dings, and debris. The versatile hinge provides 180˚ of viewing angles, just like a laptop. Laptop-style, backlit keys in 7 different colors let you Type comfortably, even in lowlight conditions.